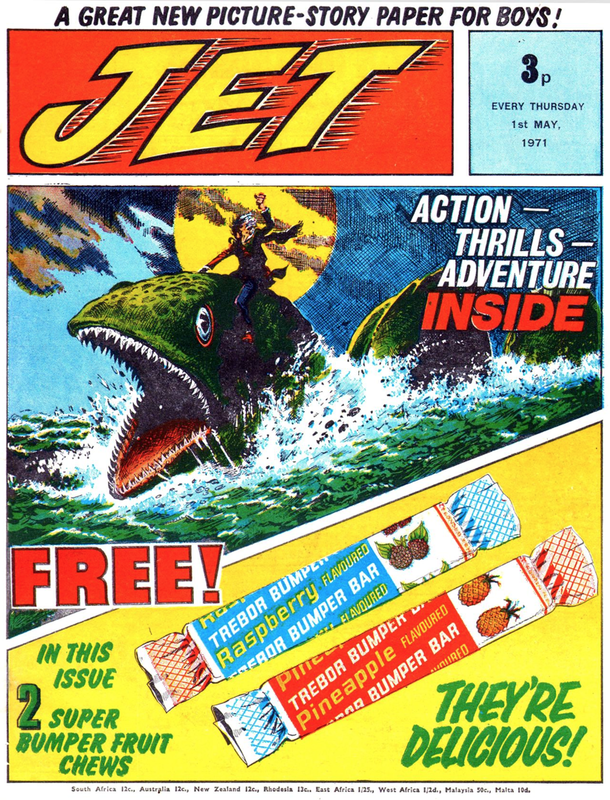 Jet, launched on 1st May 1971 (the cover date for issue one, it was most likely released a week earlier), is a short-lived comic best remembered, when remembered at all, for the introduction of Ricky Rubberneck, or Faceache, as he is best known. Faceache first appeared on page 29 of issue one of the "great new picture-story paper for boys". 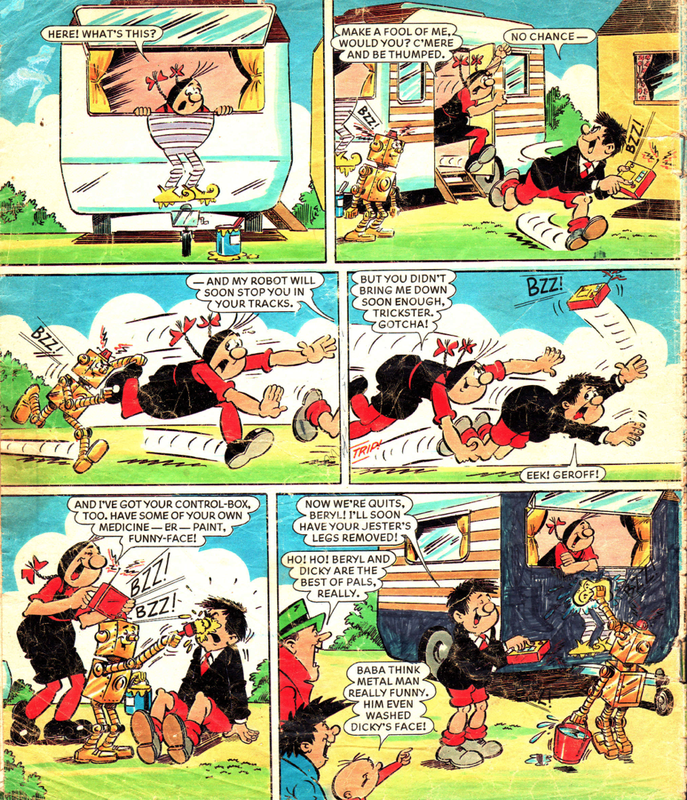 Illustrated by the great Ken Reid, Faceache would survive Jet's amalgamation into Buster and continue on until 1988, illustrated for the last few years by Frank McDiarmid after Reid passed away in 1987. Jet lasted just twenty-two issues and I will be showing all of Faceache's appearances in the comic, broken down into three parts so that each post doesn't become too lengthy. Here are the first seven episodes, and as always click on the images to view them in full size. The issue of Shiver and Shake that went on sale this week 41 years ago saw the introduction of not one, not two but "four super fun features". The full-page advertisement from the previous week's issue shows what they were. 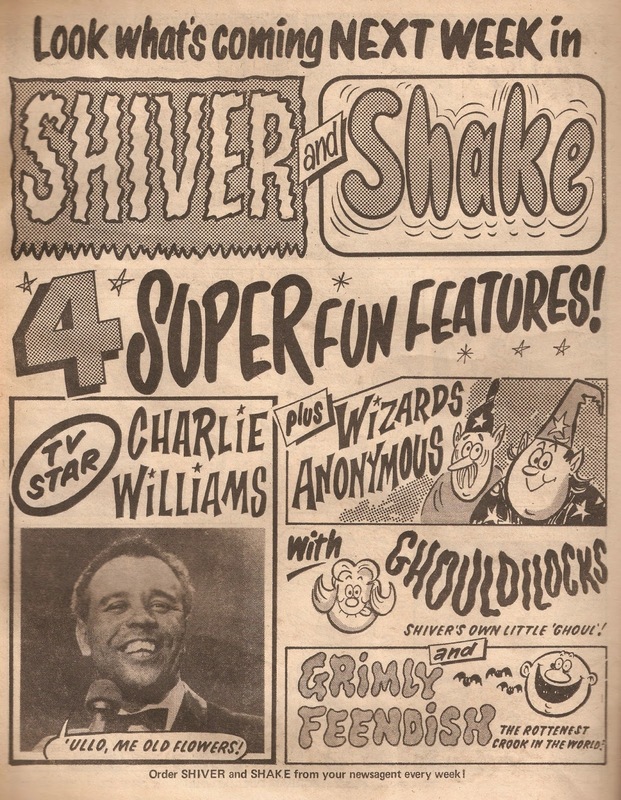 Although it isn't the order in which they appeared inside the comic, I'll look at them as they appeared on the advertisement, starting with Charlie Williams and moving clockwise. 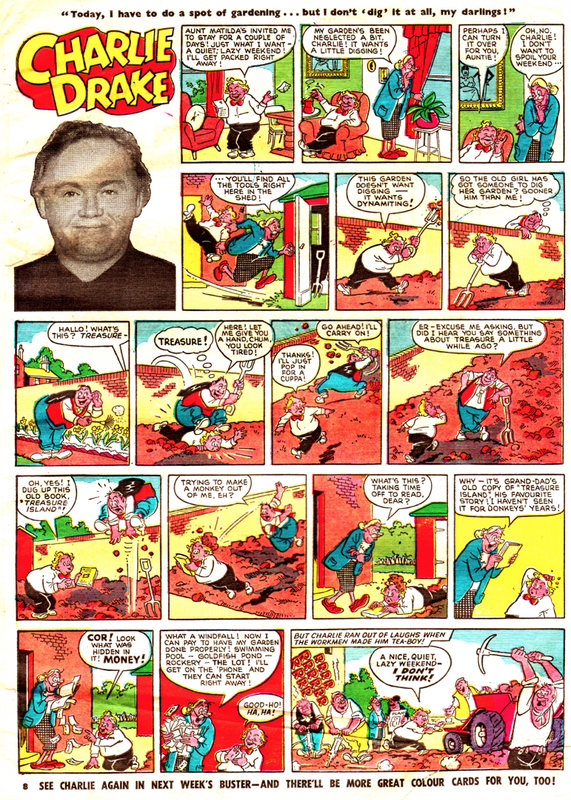 Williams was a Shake resident, appearing on page five of the elephant's comic or page fifteen overall. 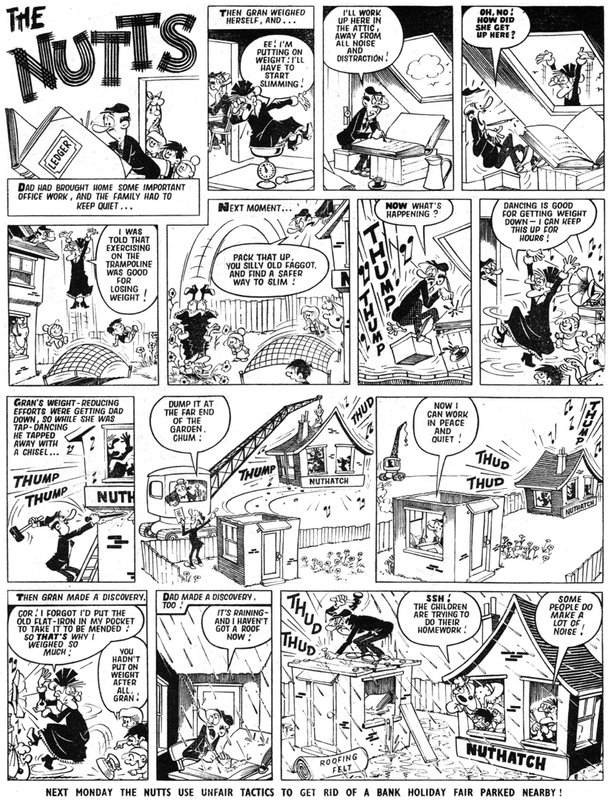 Illustrated by Alf Saporito this strip is rather similar in format to the celebrity strips that appeared in Buster in the early 1960's. 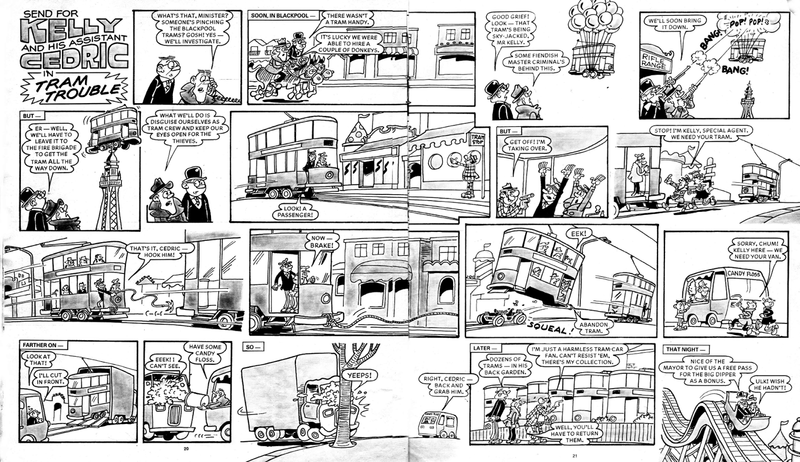 Below is Charlie's page with a Charlie Drake page underneath for comparison. 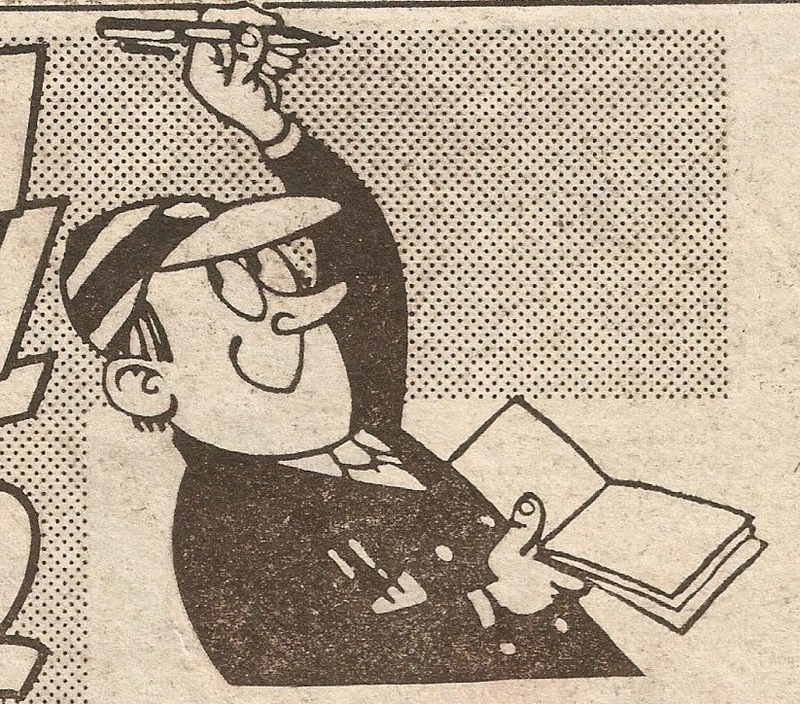 Illustrated by Arthur Martin, it can be found in Buster dated 19th May 1962. Wizards Anonymous is next, and it appears just over the page. This strip is my favourite of all the new features - it has a good, fun story with excellent accompanying artwork by Brian Walker. The other two new features both appear in the Shiver section. 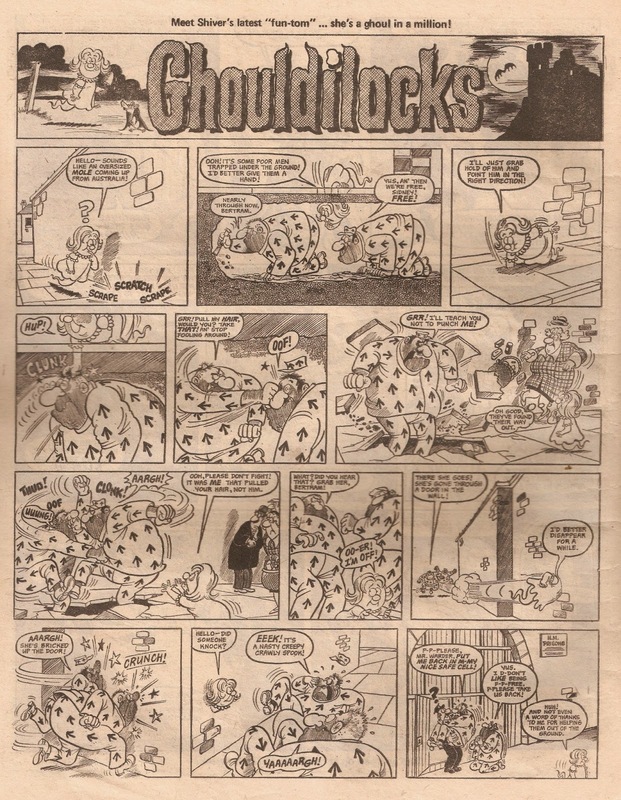 Ghouldilocks is next on the above advertisement, and appears on page eight. The artist is Stan McMurtry and this particular episode is a reprint from Jag, although some fresh pages were drawn for her run in Shiver and Shake. 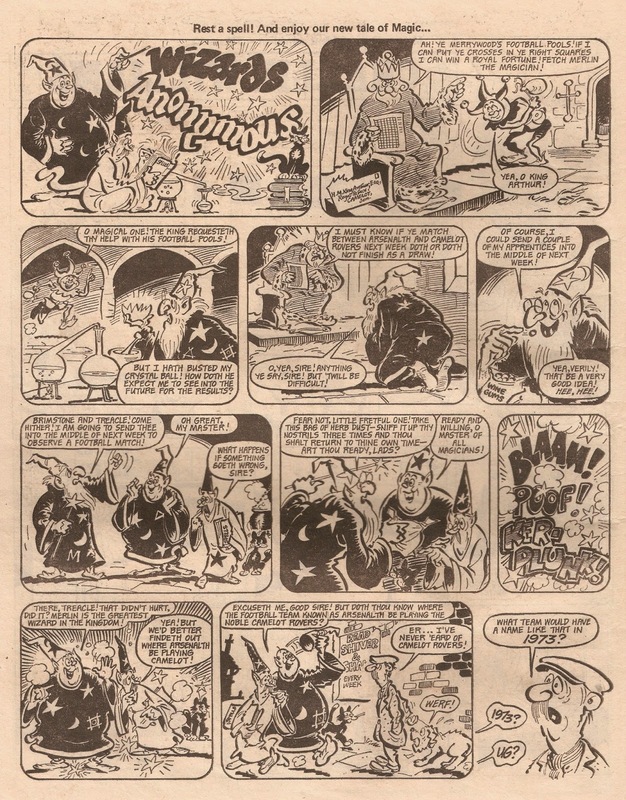 The final of the "new fun features", both on the advert and in the comic, is Grimly Feendish, a character originally created by Leo Baxendale as Eagle Eye's arch nemesis in Wham. Here the artist is Stan McMurtry and this episode is a reprint from Smash no. 58. 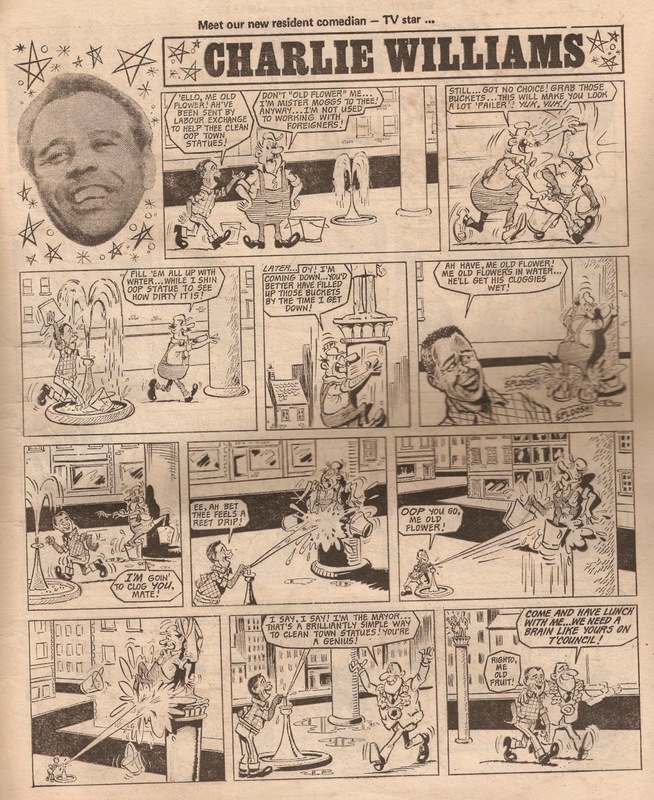 Some new strips were produced for Shiver and Shake by a young Tom Paterson. 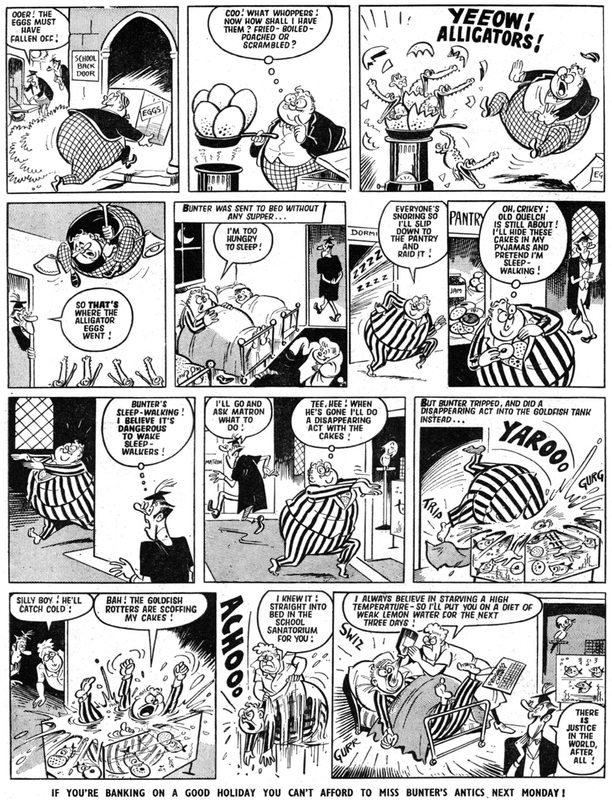 When I recently bought a small bundle of Tiger comics I was pleasantly surprised to see that Norman Mansbridge had a strip in there. 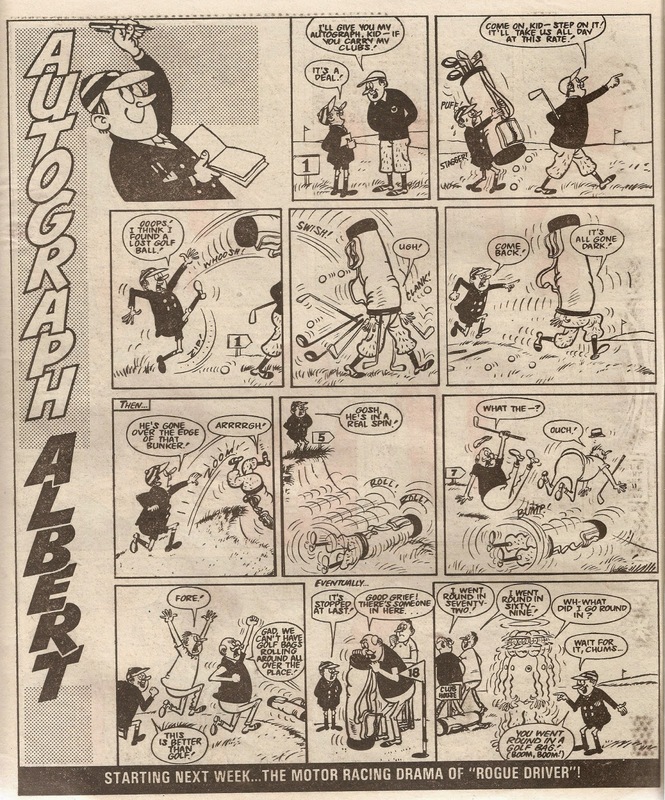 It's called Autograph Albert, and follows the adventures of a young boy donned in a traditional school uniform and cap who is trying to fill up his autograph book. I'm not sure when he first appeared but I know he had been running for roughly a year at least by the time his final strip was printed. 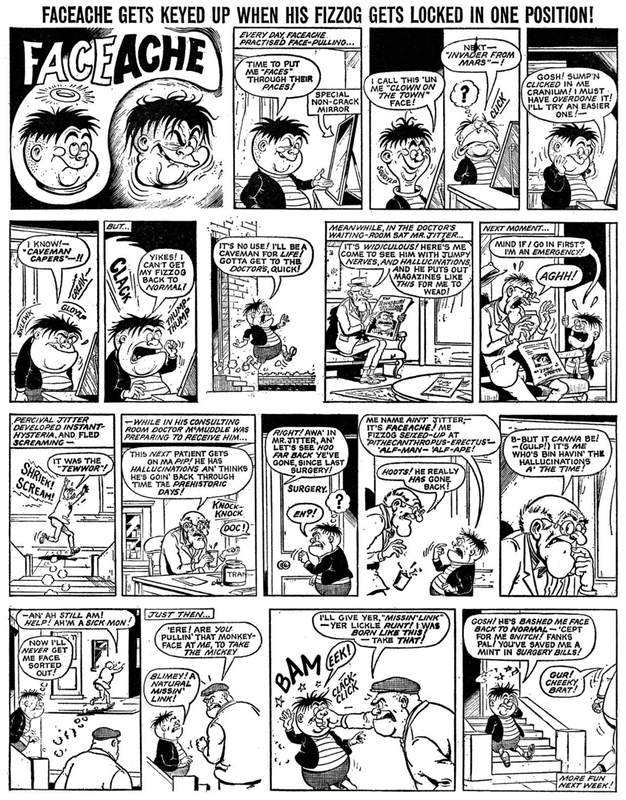 Here is that final strip, as it appeared on page 18 of Tiger dated 9th February 1985. 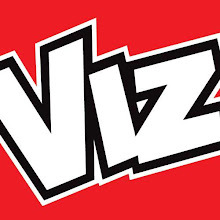 The strip was cancelled to make way for new stories that were to begin in the revamped issue the following week. You may have noticed that this revamp was very close to the final issue of Tiger and that is because the revamp was simply to prepare the comic for the merger with Eagle, by making it a bit more similar. I suspect that Eagle's readership had been falling for quite some time by this point however, as it had downgraded its paper quality to standard newsprint in April 1984. Despite being a primarily adventure strip comic Valiant featured a good number of humour strips as well. 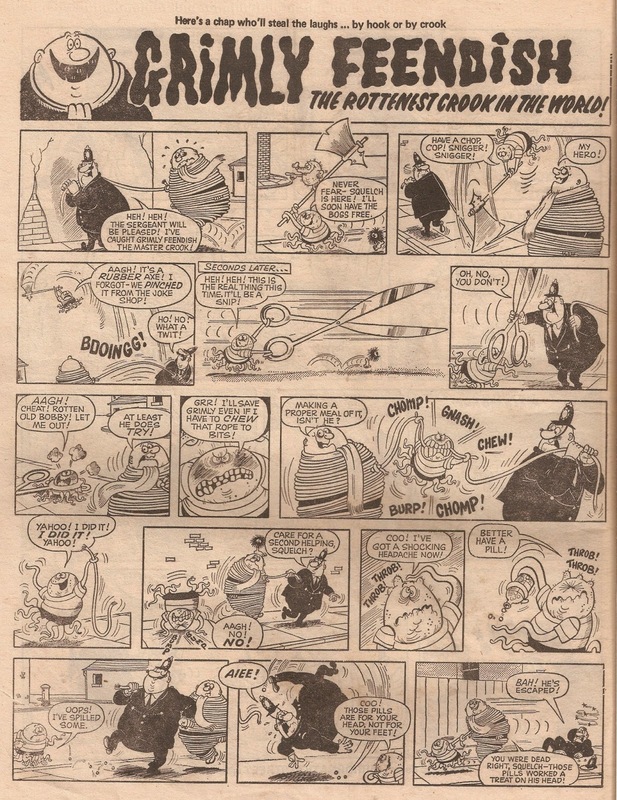 We'll head back to the issue that was on sale fifty years ago this week to see what humour strips were on offer in its pages. The first appears on page five under the title The Nutts, about a family that lived up to their name. The artist is Angel Nadal Quirch. The next character needs no introduction. He first appeared in 1908 and was still popular all in the 60's and even as late as the 90's. 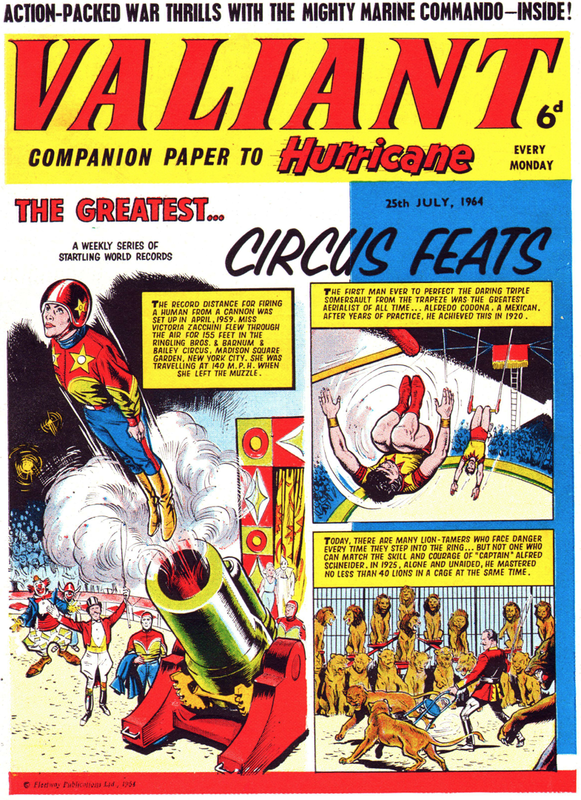 For Valiant he was illustrated by Reg Parlett - I speak of course of Billy Bunter. 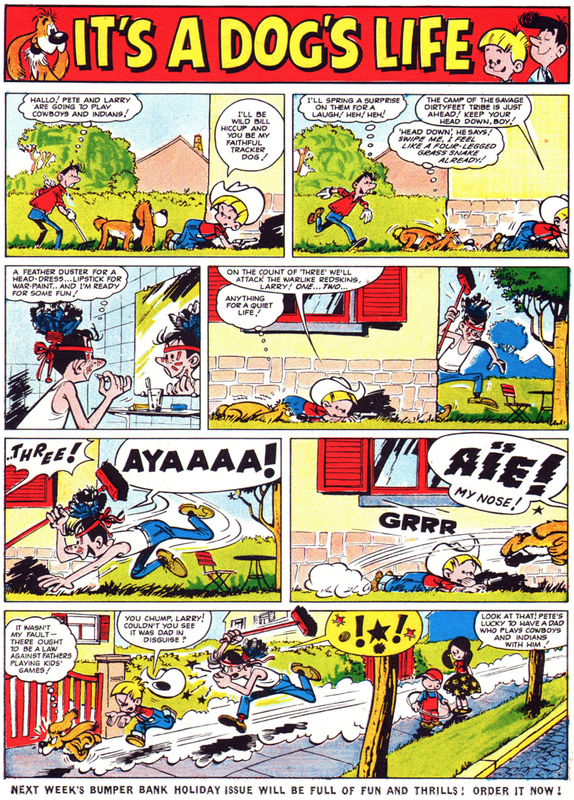 Next up is a half-page Sporty strip, which is credited to Reg Wootton. 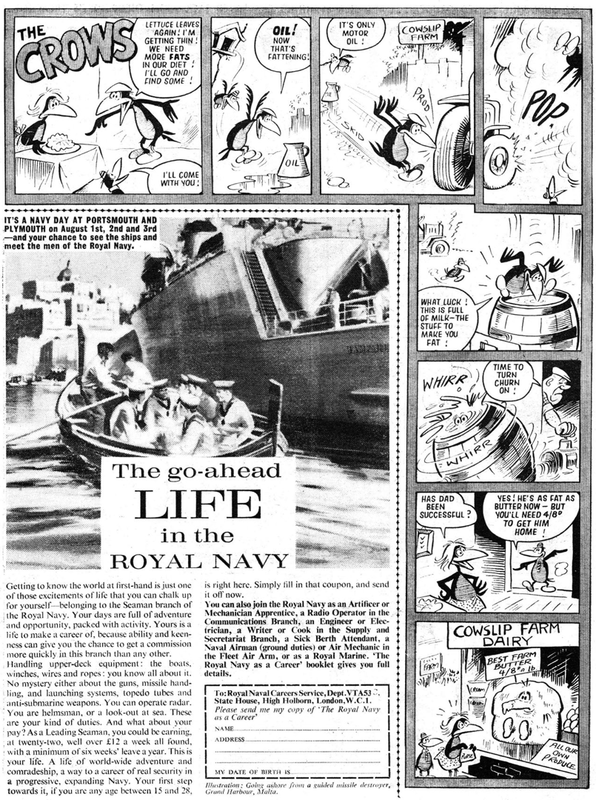 Next up is The Crows, which works out to be roughly a half-page strip but actually goes around the edge of the page, around an advertisement for the Royal Navy. This is another page by Reg Parlett. The final humour strip is called It's A Dog's Life and it appears in full colour on the back page. This is a reprinted Belgium originally entitled Boule et Bill, illustrated by Roba. Despite the constant rain and gloomy grey skies currently above Auckland I thought I'd take a look at another summer special of the past, this time the Topper Summer Special from 1986. It's got a nice, bright, lively front cover that leads on to a comic strip over on the back page. For their 52 pennies readers got 32 pages, with no less than 16 of them in bright full-colour. 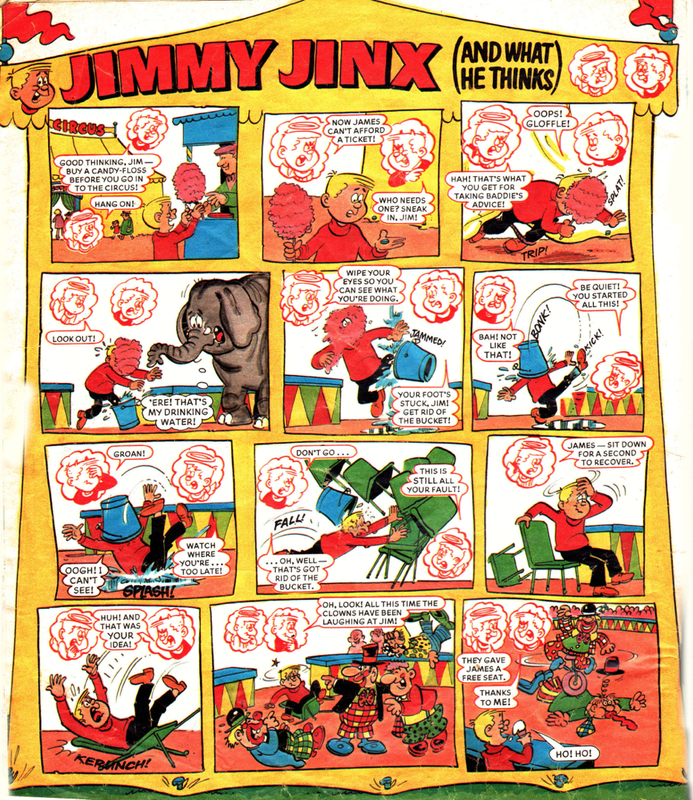 One of those pages is Jimmy Jinx and What He Thinks, illustrated by Gordon Bell. 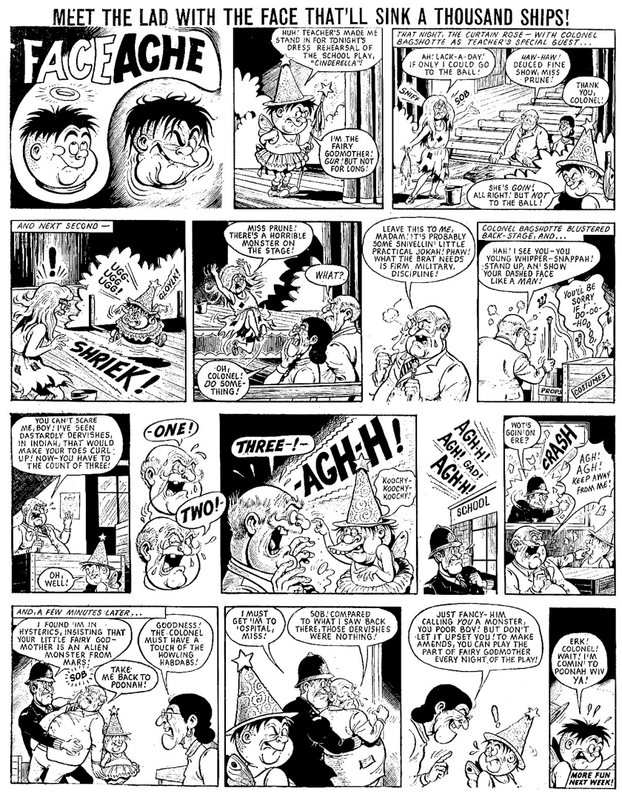 Next up is a two-page Beryl the Peril strip by, I believe, John Dallas, in which Beryl makes her own entertainment - much to the annoyance of her dad. 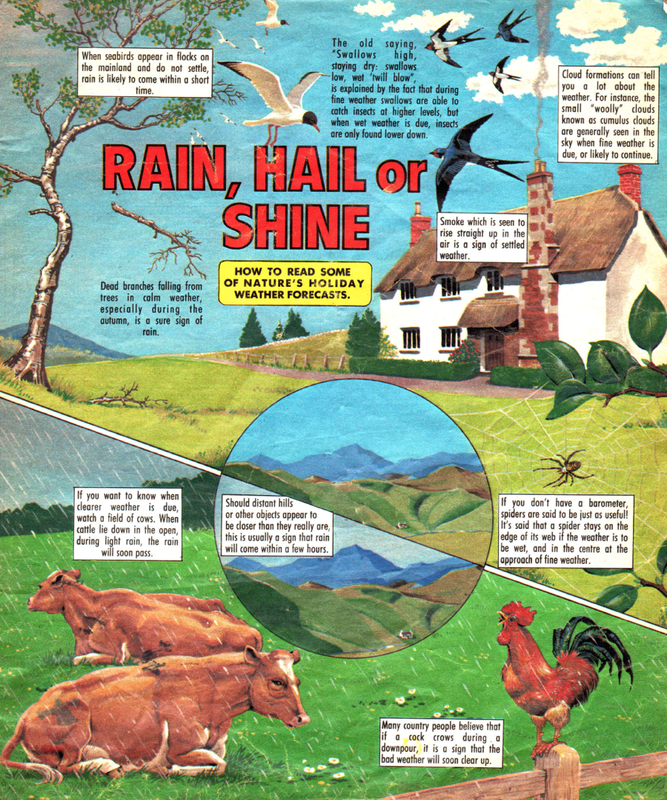 Here's a very nicely drawn page about nature's weather forecasts. This seems to be more suited for the pages of the 1950's Eagle than it does The Topper but none-the-less it is a very nice set. Unfortunately I don't know who the artist is. The final strip I'll be showing is this two-page Send For Kelly story, as it features a traditional summer holiday trip to Blackpool. 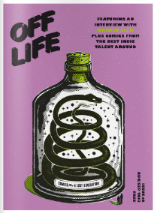 Overall it's quite a good special, with a nice mixture of humour and adventure strips, jokes and activities it is the perfect bundle for a long car journey. 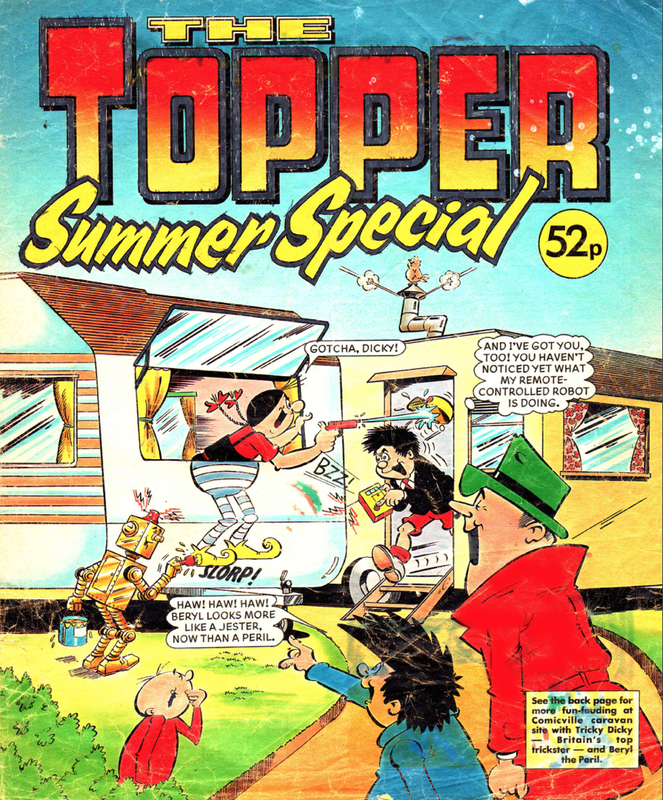 Despite The Topper starting in 1953 this is only the fourth Topper summer special - the first one didn't appear until as late as 1983. Me, in 2012. I still have the coat. A few months ago people were sharing photographs of their comic collections. I was intending to do the same, but stuff happened and I never got around to it, but today I finally got the camera out and took a few snaps. 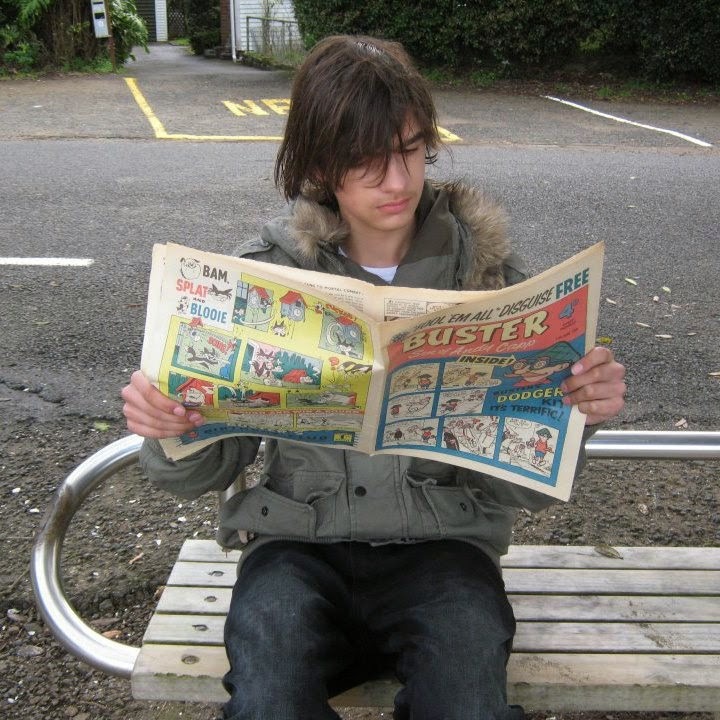 I got my first comic, a Beano, in 2007. My mum brought it home and I've been buying comics ever since - I still own my first copy - the actual one she brought home, although now it is a little battered, as can be seen in the photograph above. 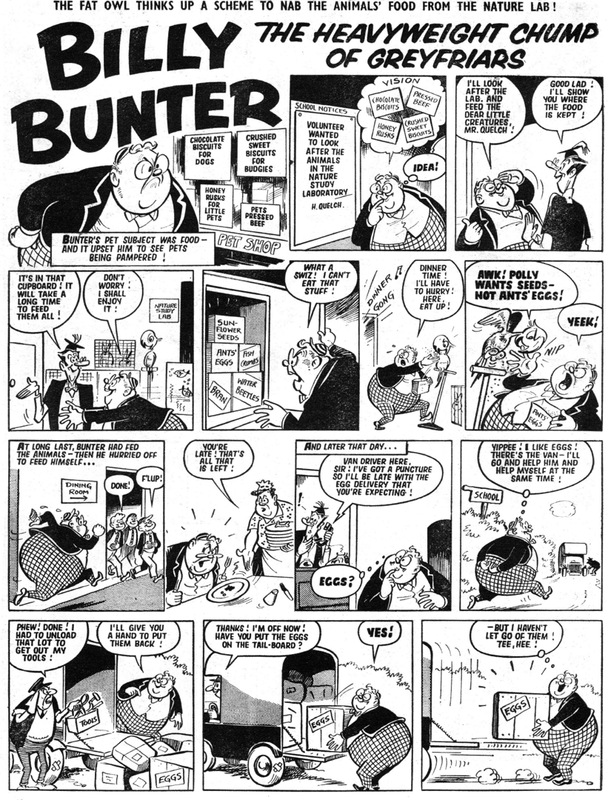 Buster comics from the first year of the title's run - 1960. I bought the lot in a bundle for £5. I really started collecting old comics in 2008 when I asked my Dad what comics he read as a child, and I've not stopped since - I'm quite pleased with my collection as I've built it up using only my pocket money - I've rarely spent even £5 on a single comic, the only exception that comes to mind is the first issue of Whizzer and Chips. 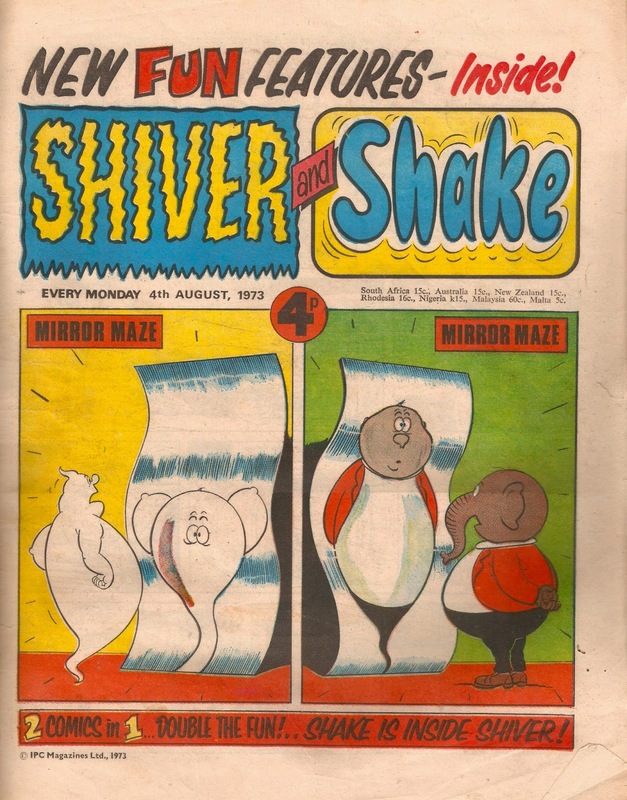 Shiver and Shakes on the left, and a mixture of Whizzer and Chips, Whoopee and Jackpot comics on the right. I spend some time looking through charity shops, bookshops and car boot sales whenever I'm near one which is where much of my collection comes from as I can't really afford to buy a comic and then pay international postage on top of that to ship it from the U.K. to N.Z. 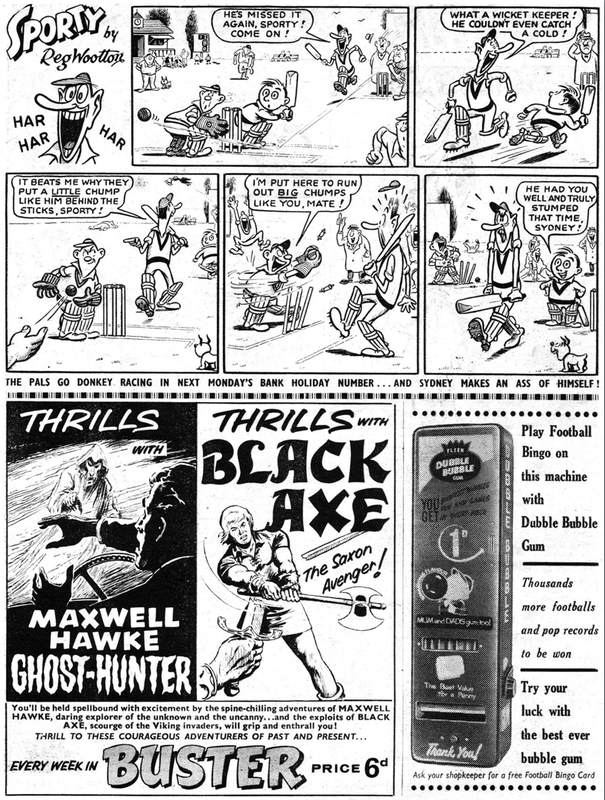 A six-month run of Eagle comics from January - June 1961. They all come from a nearby second hand bookshop. 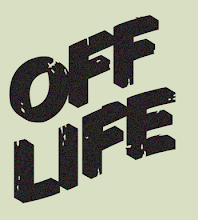 I was born in 1997 in Bedford, England, so started this blog when I was 13. I'm now 16. I moved to New Zealand in 2009, and went back for a three week holiday in 2012. I'm slowly building a collection of early comics. When I was about 7 years old (I can't remember exactly) my parents noticed I wasn't listening to them - it turned out I'd had an ear infection and so have a hearing loss. I got my first pair of hearing aids soon after, and got my third pair a few months ago. A few of my Halfpenny Comics, all these ones from 1898. That's just about all I have to say about myself. I'd like to be a journalist when I leave school, as I like writing - one of the reasons I started this blog. Anyway, that's a bit about me and a few photos of my collection. Normal service will be resumed shortly. 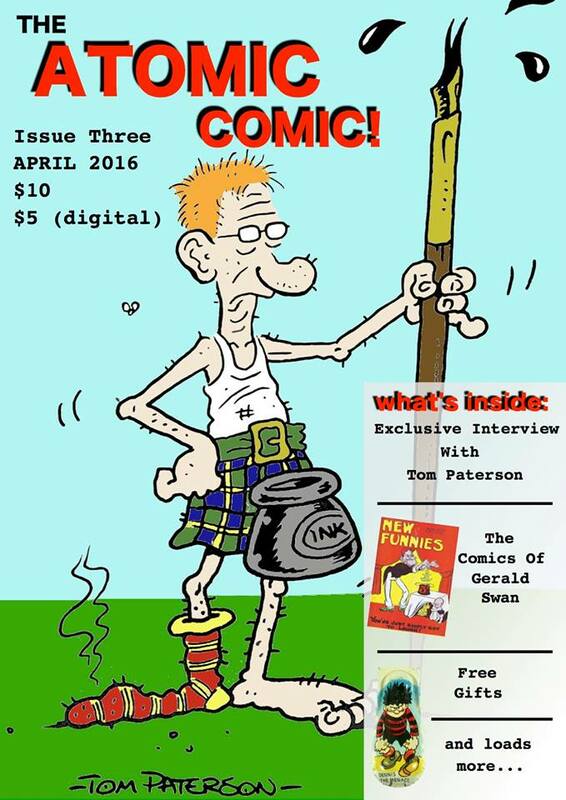 Issue #9, the last issue. 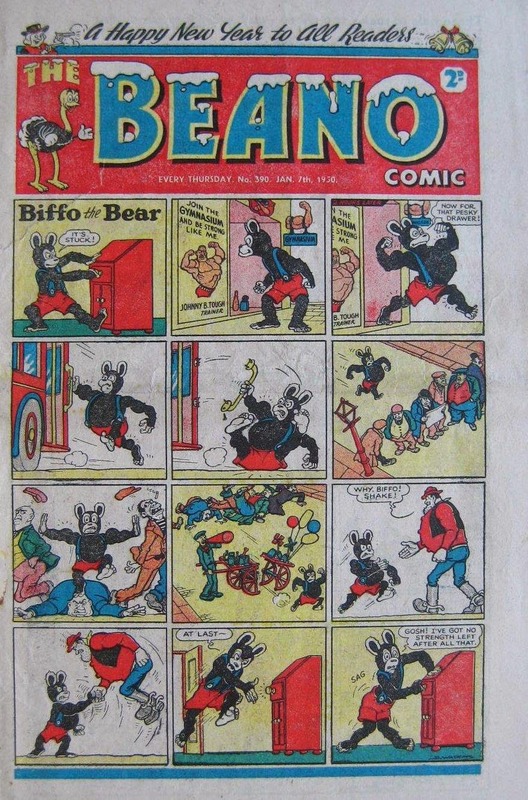 Comic Cuts is a well-known title here in the U.K, as it ran for over 60 years and produced over 3,000 issues, but it seems widely unknown amongst British comic fans that there was also an American version published, the first issue of which was dated for May 19th 1934. It was published by H.L. 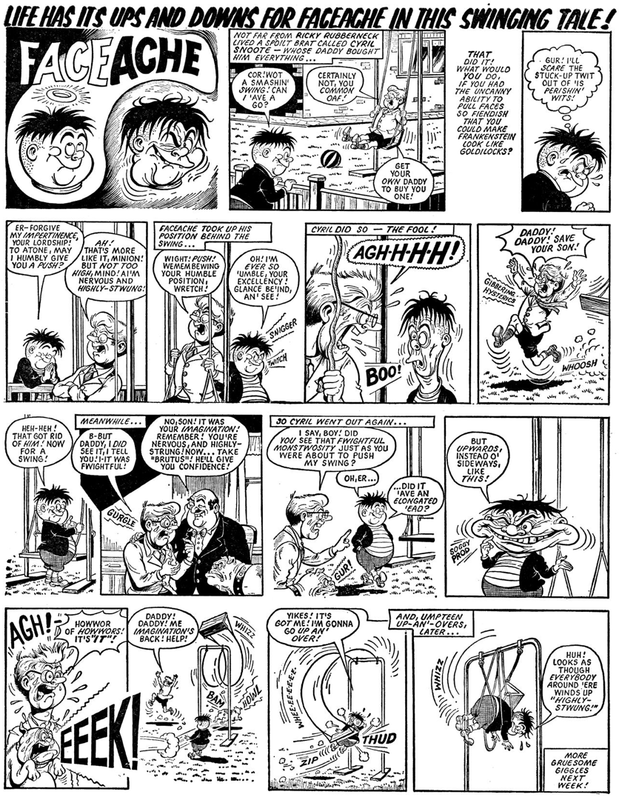 Baker and Co (made up of H. Baker and Hake Geller), and they gained the rights to a number of comic strips published in Amalgamated Press’ comics. The U.S. version had a full-colour front cover and so looked much more modern that its British counterpart. 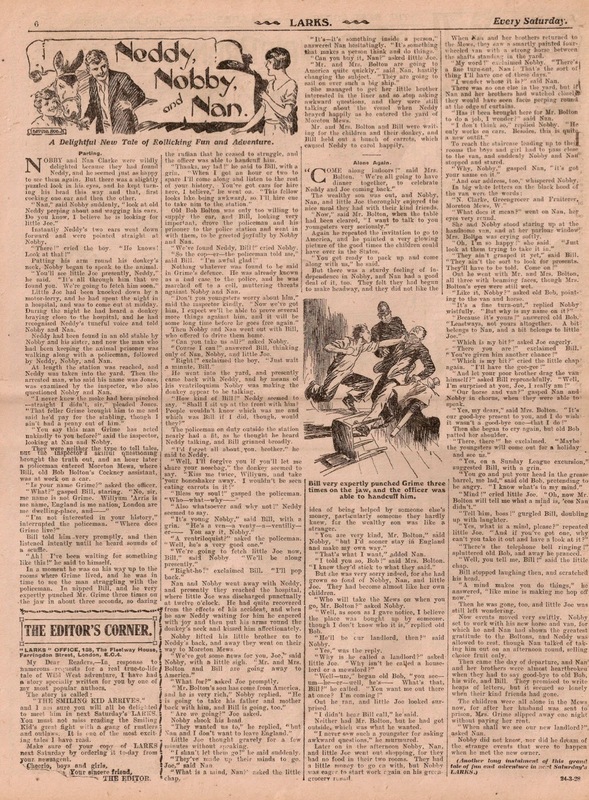 Each issue was 24 pages and cost five cents, but “The National Comic Weekly” (as it was subtitled) failed to catch on and just nine issues were released, the last one dated 28th July 1934. "...a five-cent tabloid weekly reprinting the contents of an eponymous British publication that appeared in nine issues between May and July 1934". 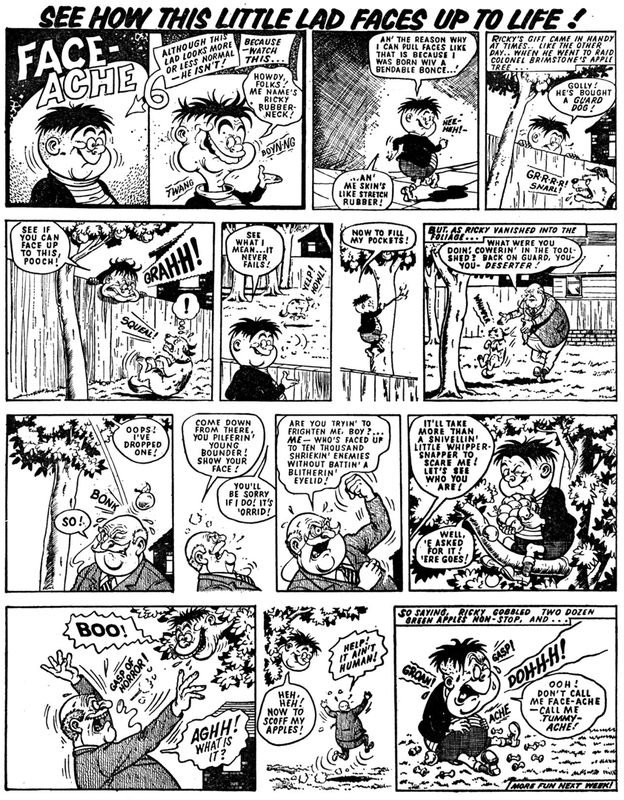 As you may be able to see from the cover at the top of this post they didn't just reprint strips from Comic Cuts (in fact, I'm not sure if they reprinted anything from Comic Cuts), for the cover features The Bunty Boys, a strip illustrated by Herbert Foxwell in Bubbles from 1921 - 1941. 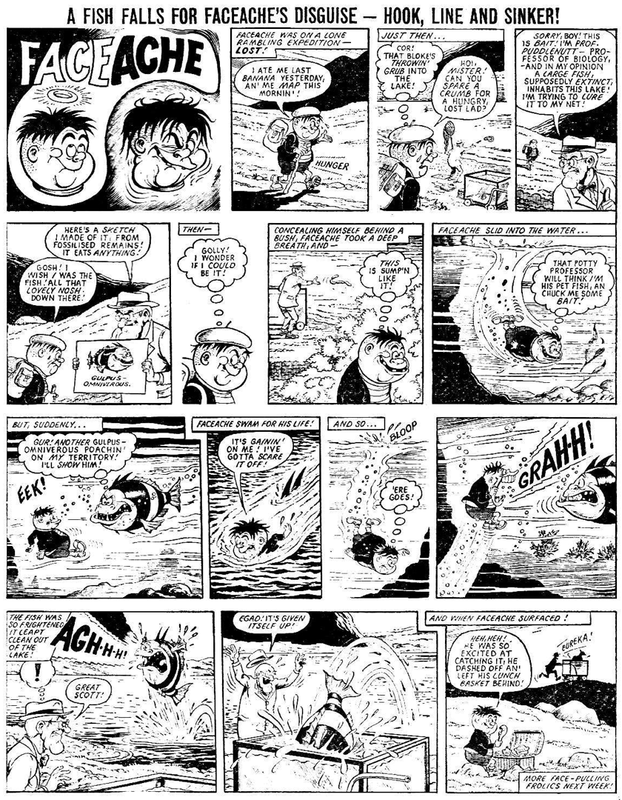 The only other strip that I know appeared in the comic is Peter the Paleface Brave, also a reprint from Bubbles, this time illustrated by Anton Lock. 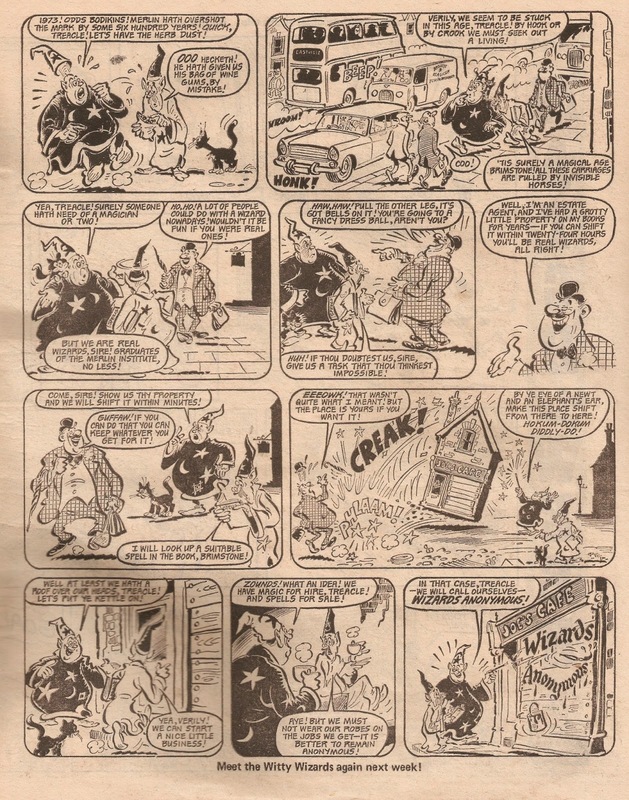 It seems that this version of Comic Cuts was aimed at a much younger audience than the British version and therefore it reprints material from Amalgamated Press' younger comics. 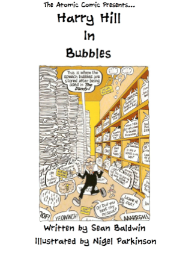 Sadly information and issues on this comic are hard to come by but if you do know a little bit more about the contents of it, or even have an issue or two, please do get in touch. 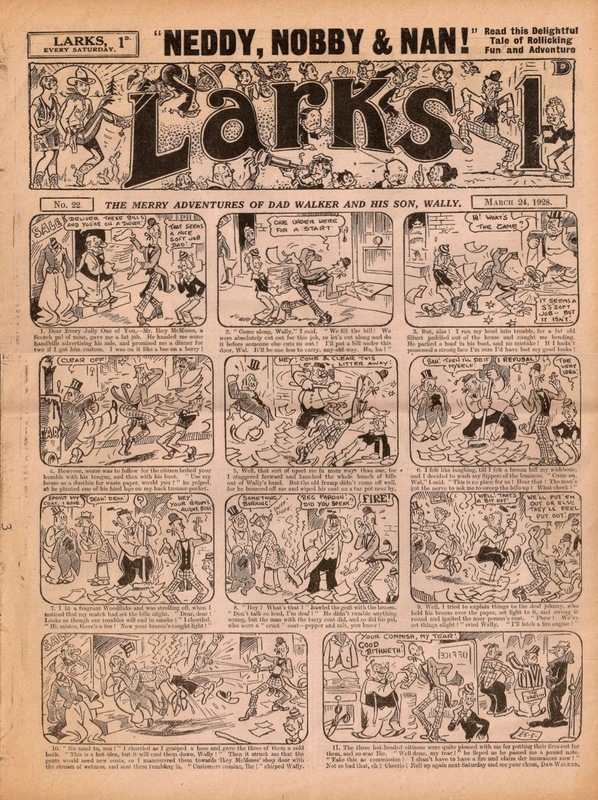 As promised last Friday I said I'd take a look at an issue of Larks from the Amalgamated Press version, published from 1927 - 1940, only cancelled due to the outbreak of World War Two. My earliest issue comes from 1928 and is #22. As you can see from the front cover above the cover stars were not a fat 'n' thin tramp duo as was so popular at the time, but instead was 'The Merry Adventures of Dad Walker and His Son, Wally'. 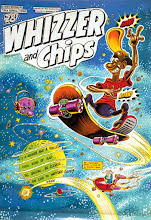 Illustrated by Bertie Brown, this duo would enjoy tremendous success, appearing on the front cover of all 656 issues, although the title soon lost 'the merry adventures of' part. 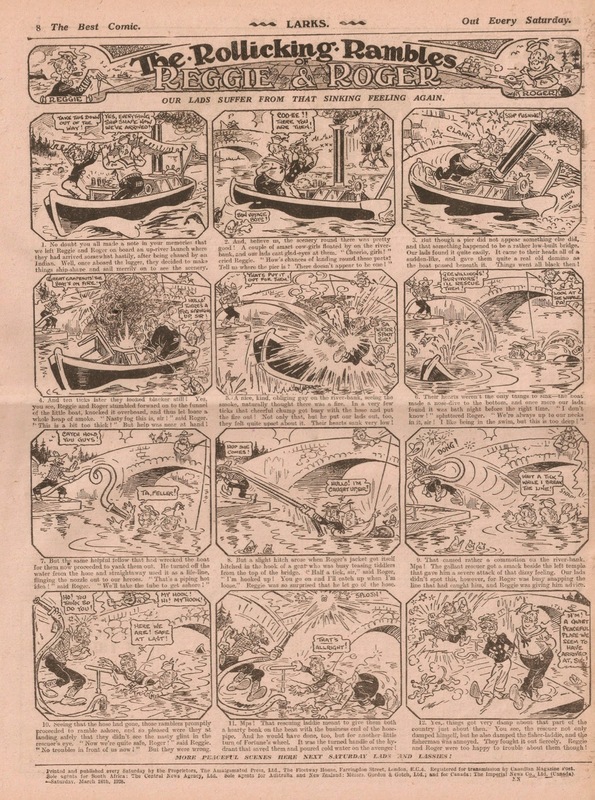 Like just about all comics of the time Larks had half of its pages featuring text stories and the other half with comic strips and illustrations - the covers and centre spread featuring the strips. This issue features the first episode of a new text story Neddy, Nobby, and Nan, as advertised in the strapline on the cover. This page also includes a letter from the editor, or 'The Editor's Corner', as they called it. In the letter the editor, Stanley Gooch, talks about a new "Wild West adventure" tale entitled 'The Smiling Kid Arrives' beginning in the following issue. 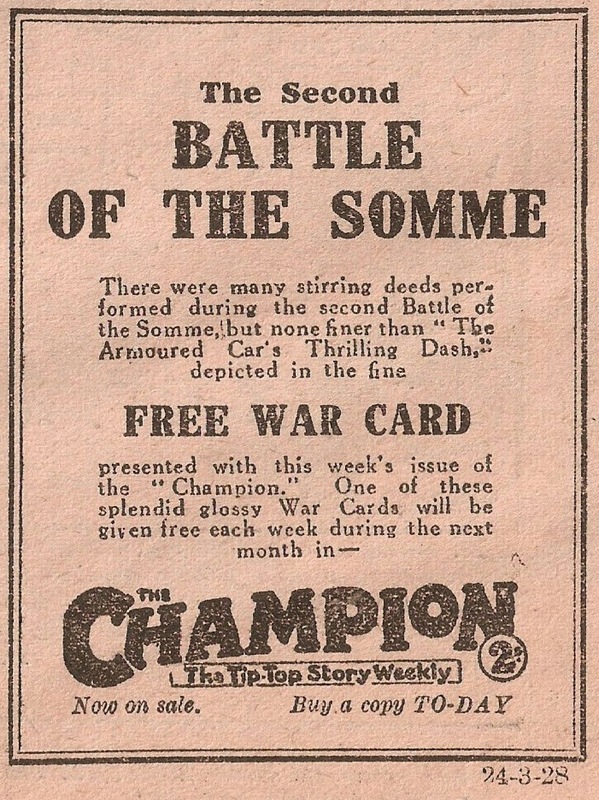 On the opposite page at the end of another text story (entitled Just Like His Dad) was a small advert for Champion, advertising a "free war card" to be given away in every issue for the next month. World War One had of course ended just less than ten years earlier but Britain was still affected by it so no doubt readers, even if they didn't remember the war itself, would be interested in such gifts. The back page stars Reggie and Roger, or 'The Rollicking Rambles of Reggie and Roger', to give it its full title. Although actually illustrated by Alexander Akerbladh it looks as though he was, like so many other artists of the day, told to draw in the style of Roy Wilson. Reggie and Roger would enjoy long lives in Larks, leaving its pages only two years before it came to an end itself. 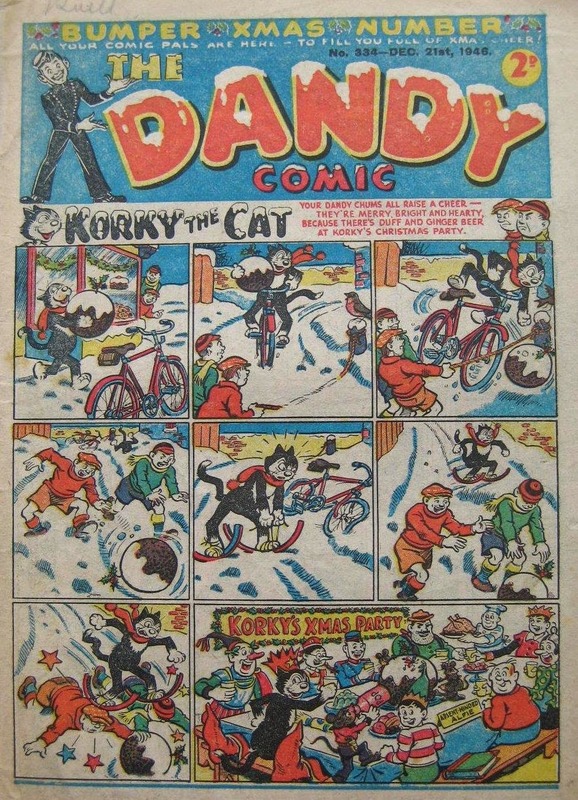 Long before Desperate Dan took over the cover of The Dandy from Korky the Cat in 1984 he made a number of front cover appearances. His earliest cover appearance, as far as I am aware, occurred as early as 1945, on the cover of #308 - the Christmas issue for that year. Although not saying anything he does appear in the Christmas feast in the final panel. Of course, his first actual cover appearance would be on the first Dandy Monster annual, but as far as I'm aware his presence on this issue is his first cover appearance on a weekly comic. He made a very similar appearance on the Christmas cover the following year. 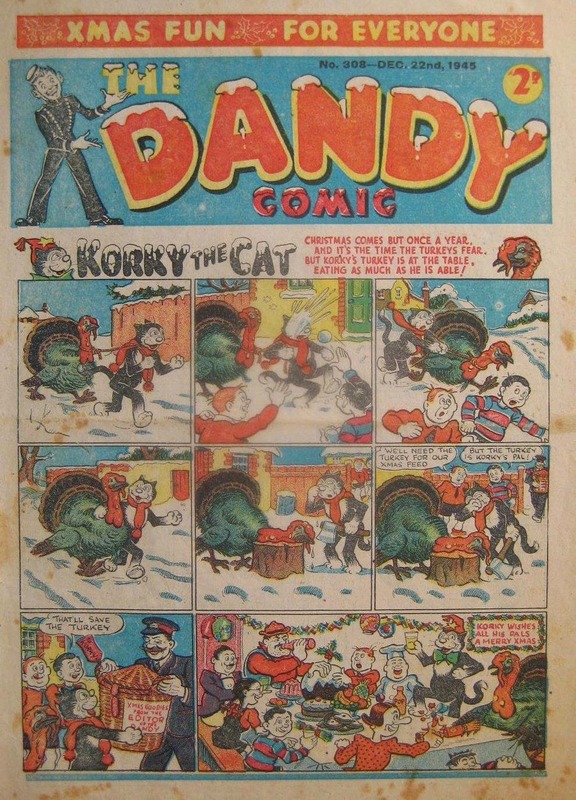 Anyway, Dan's first cover appearance for The Dandy was #308, but he didn't crossover to The Beano for another five years, appearing on the New Year's issue for 1950. 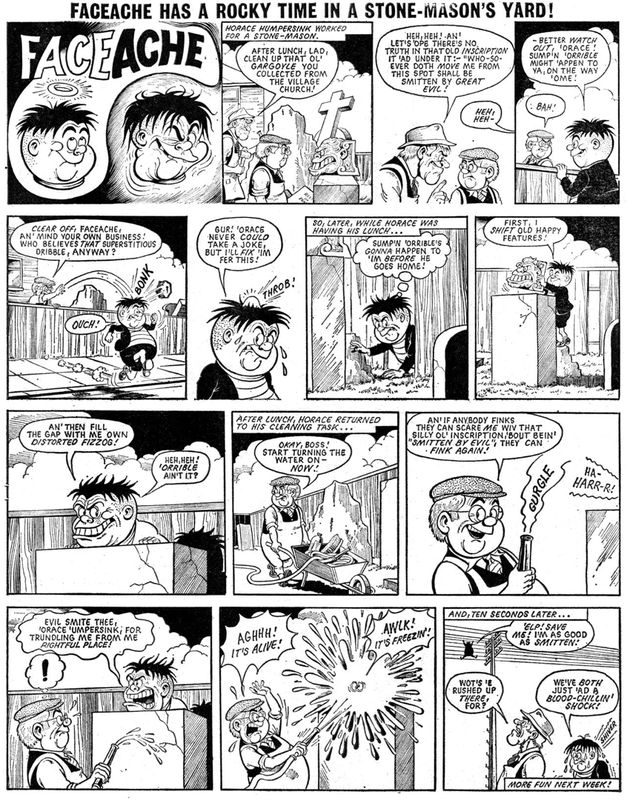 Dan didn't have a change of artist for this crossover, for both Dan and Biffo are drawn by the great Dudley Watkins. 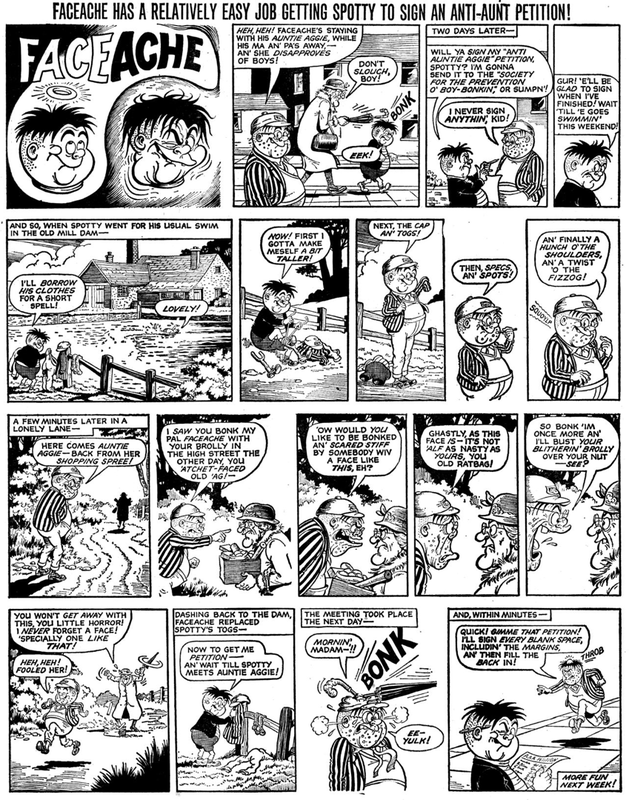 Naturally, this wouldn't be Dan's last appearance on the cover of either The Dandy or The Beano, for he would appear on the cover of both many times over the following years.